A nice match. Swagger started strong but got isolated. O’Neil got the hot tag and destroyed Bo Dallas. Pretty straightforward stuff, but it was good. A replay of the Ambrose/Jericho segment from this week’s RAW. The Backlund life lessons segment about phones from RAW. A replay of a segment of The Usos versus Gallows and Anderson (and the aftermath) from RAW. A good match with some good limb damage psychology. 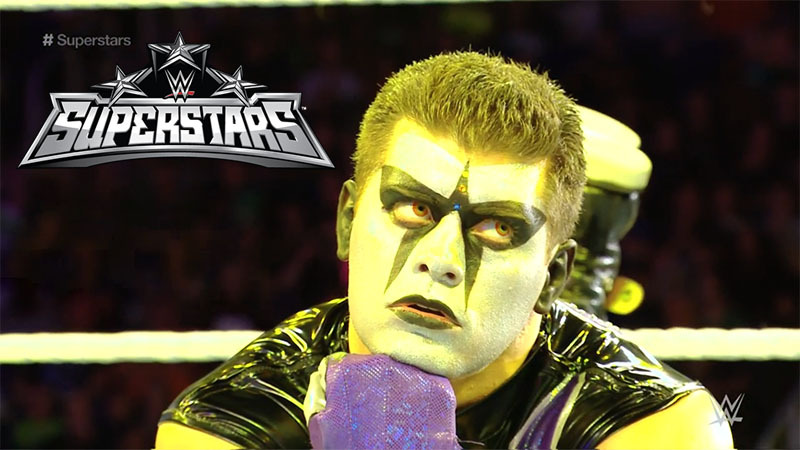 Stardust worked on Ryder’s shoulder and arm for a portion of the match, and that affected Ryder towards the end. Nicely done by both guys. A replay of the Natalya/Charlotte contract signing from RAW. A good show for what it was. The matches were both good. This match was longer, but it also had more interesting developments in the action.